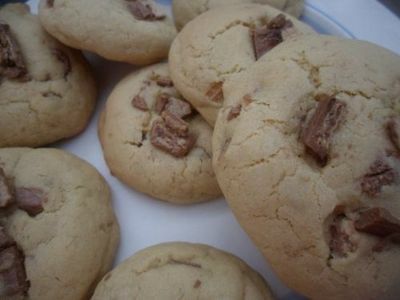 A choc chip cookie with a twist! 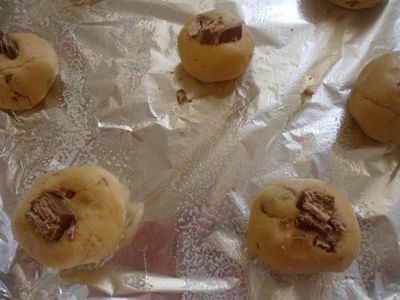 These cookies use KitKat pieces instead of choc chips to create a crunchy, chocolatey cookie perfect for those times when you can't decide between cookies and KitKats. Solve the age old dilemma with these crunchy cookies. Preheat the oven to 180 degrees C and line a baking tray. 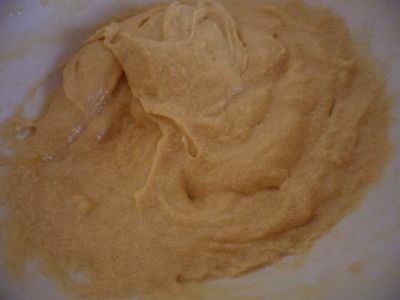 Use a wooden spoon to cream the butter and sugars together until smooth. Lightly whisk the eggs, then add these one at a time to the sugar mixture. Stir well to combine. Sift half of the flour into the mixing bowl. Add the baking soda and salt, then stir to combine. 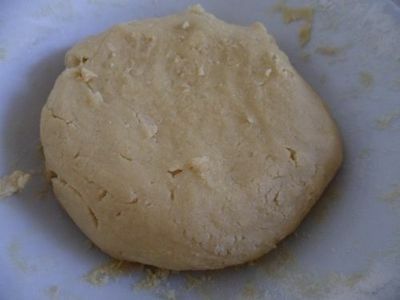 Add the remaining flour and mix well to form a cookie dough. Roughly chop the KitKats into small chunks. 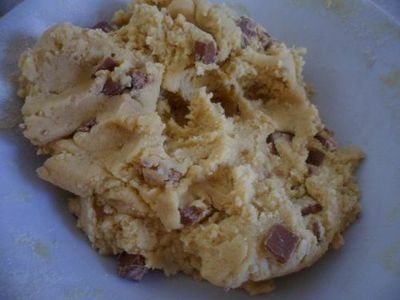 Set aside enough pieces to top each cookie with, then place the remaining pieces onto the cookie dough, then use your hands to gently knead the dough until the KitKat chunks are firmly embedded. 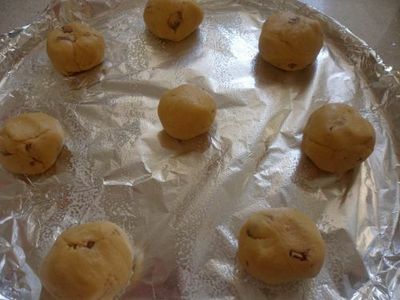 Roll the dough into small balls and place these onto a baking tray. Top each cookie with some extra KitKat pieces. 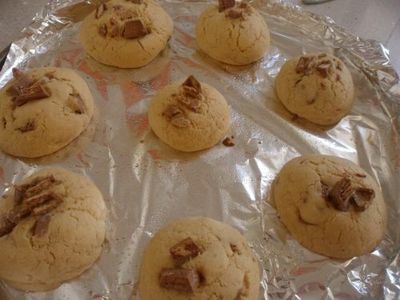 Bake for 8-10 minutes, or until the cookies are light golden brown. Best Vegan Food in Melbourne?